No jumping and no aerobics! Never get on the floor. Geri-Fit is an evidence based strength training exercise class. 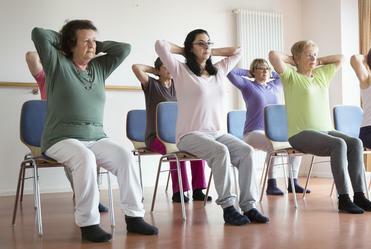 All exercises are performed in chairs with light weights. Classes are taught by a certified instructor. 50 College Dr. Craig, Co.